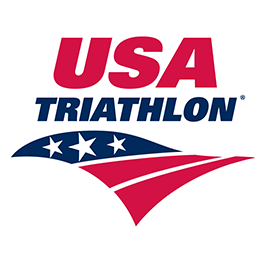 USA Triathlon has announced the dates for the second annual National Triathlon Week, a nationwide initiative to celebrate the sport of triathlon and all its constituency groups. The largely social-media-based campaign brings the multisport community together from July 16-22 — not only to swim, bike and run, but also to share experiences, advice and support. Prize packs will be awarded to select participants who share their experiences on social media using the hashtag #TriWeek, with one prize pack awarded for each day of the week. In addition, triathletes can enter a contest to win a USA Triathlon Lifetime Membership by emailing marketing@usatriathlon.org or posting on social using #TriWeek and #WhatsYourFinishLine with a description of how the sport of triathlon helped them reach their goals. All award winners will be announced on Monday, July 23. The week culminates with Race Weekend on Saturday and Sunday, when first-timers and experienced triathletes alike are encouraged to complete a race, register for their next event or simply volunteer to staff an on-course aid station. The fourth weekend of July typically boasts one of the highest participation rates in multisport events across the country, with 177 USA Triathlon-sanctioned events including 62 youth races taking place on July 21 and 22.